Victoria Bridge. 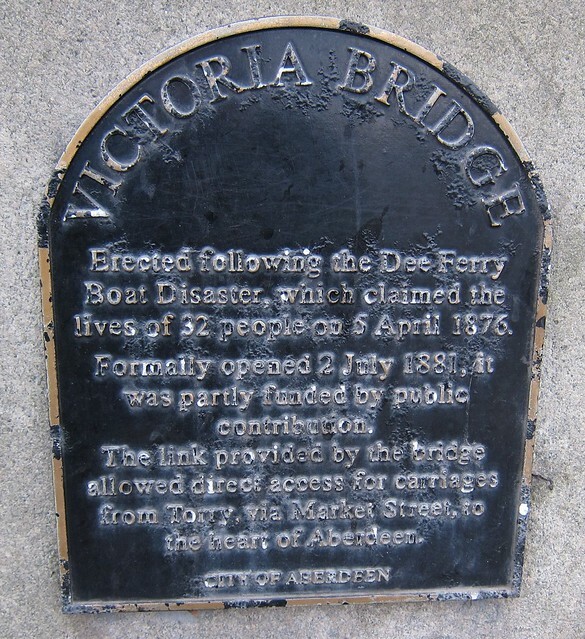 Erected following the Dee Ferry Boat Disaster, which claimed the lives of 32 people on 5 April 1876. Formally opened 2 July 1881, it was partly funded by public contribution. The link provided by the bridge allowed direct access for carriages from Torry, via Market Street, to the heart of Aberdeen.